Ask a question about 12475 Sw Kingsway Cir, or schedule a tour. GOLF COURSE VIEWS ABOUND! 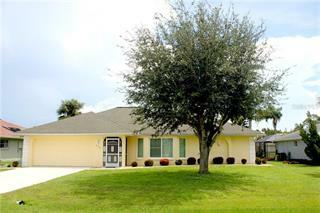 Spacious, 3 bed/2 bath, pool home in Lake Suzy on Kingsway Country Club golf course. 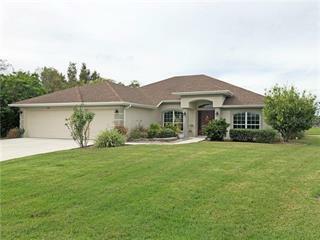 Home features fantastic views of the 17th tee & golf course lake beyond. 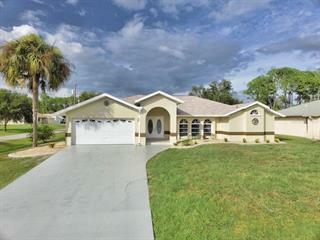 Inside, the home features a formal living room & di... more.ning room plus a separate family room. Almost every room has a pool view. Disappearing, sliding glass doors open extending the living space outside. Architectural details include tile flooring throughout most of the home, cathedral ceilings, decorative plant shelves & raised formal dining area. The family room boasts a beautiful, wood-burning fireplace w/floor-to-ceiling stone surround. 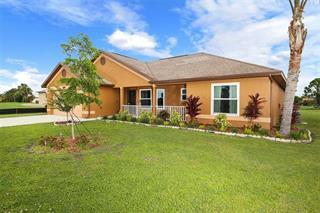 The eat-in kitchen has updated stainless steel appliances, solid surface counters, pass-through window to lanai, breakfast bar opening to family room & ample cabinet & counter space. The split bedroom plan offers a spacious, master suite w/walk-out access to the lanai & large master bath. The master bath offers a jetted, corner tub, split sinks (one w/seated vanity) & separate shower. Guest rooms are perfect for hosting out-of-town guests. Guest bath doubles as a pool bath w/access to the lanai. Outside, the lanai features an in-ground, saltwater pool. 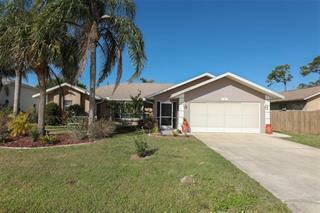 Relax in the shade of the lanai or soak up some Florida sun lounging in or by the pool. Updates include new dishwasher & new pool pump (2018), new washer, dryer & refrigerator (2015). 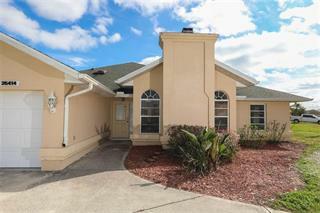 Other amenities include attached two-car garage, partial hurricane protection w/impact windows on front windows & back bedroom windows plus zoned A/C system.